We are approaching the fourth weekend of October, which only means one thing for Alabama fans: it’s Hate Week, the week leading up to the Tide taking on the loathed Tennessee Volunteers. When a local journalist filmed then-Alabama student Irvin Carney expressing his hatred of the Tennessee Volunteers in 2007, Carney had no idea his remarks would turn into a viral video sensation. “Man, I hate Tennessee because, first of all, it’s Tennessee. I just hate ‘em,” Carney began his now famous rant. It’s not that orange that you can stand… Tennessee’s colors… it’s that throw up orange. It’s not that orange that you can sit with. It’s that puke, inside-of-a-pumpkin orange. And I don’t like pumpkins. It looks like a garbage truck workers’ convention. 7. They’re sore losers because they’re not Alabama. “I really don’t like Tennessee, man. I can’t stress that enough, man,” Carney said before walking off camera. And his feelings have not changed over the last several years since the video was released. NEW YORK — When thousands of University of Alabama students graduate on Dec. 10, many of them will be making good on promises to their friends and family members — and perhaps themselves — that they would earn their degree. But one of those graduates will also be making good on a 37-year-old promise to the late, great Paul “Bear” Bryant. Marty Lyons was an All-America defensive lineman at Alabama in the late 1970s and a leader on Coach Bryant’s fourth national championship squad in 1978. He went on to become a first round pick of the New York Jets and played 11 seasons in the NFL before becoming a radio analyst for the team in 2002. 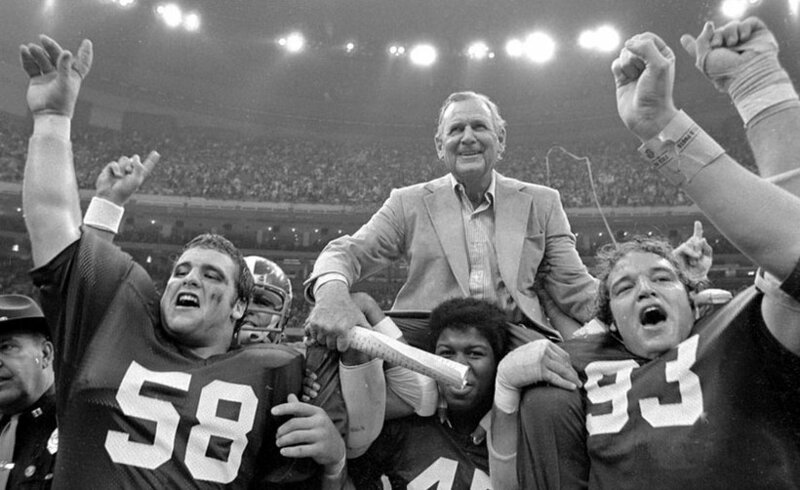 When Lyons was preparing to leave Tuscaloosa almost four decades ago, he was 22 years old and 24 credits short of graduating, according to the New York Daily News. “Promise me one day you go back and get your degree,” Bryant told him as they shook hands. As the years went by, work and family commitments made it difficult for Mr. Lyons to return to class, but in 2014, University of Alabama academic counselors helped him come up with a plan to finish his degree online. Even though it was difficult, Mr. Lyons said it will all be worth it when he walks across the stage in Coleman Coliseum — not only because he will be a college graduate, but also because he will be making good on a promise he made to one of his greatest mentors. “I made him a promise, and if you want to be a man of integrity, you do what you said,” Lyons said, and he hopes his experience will inspire others as well. The worship team from the Church at Brook Hills in suburban Birmingham just recorded an awesome version of “Joy To The World” being performed with classroom instruments, and it is sure to get even the biggest Grinch in the Christmas spirit. Check it out in the video above. If you like what you hear, the group also has a Christmas EP available on iTunes now. WASHINGTON — Moments before Republicans voted to reinstate earmarks in the United States House of Representatives, Speaker Paul Ryan stepped in to swat down the plan, which was being pushed by Alabama Rep. Mike Rogers (R-AL3) and two other members. The Congressional Research Service defines earmarks as spending attached to “bills that apply to a very limited number of individuals or entities.” The practice was banned in 2010 when Republicans re-took control of the House. But Rogers, along with Reps. John Culberson of Texas and Tom Rooney of Florida, were sponsoring an amendment to House rules that would revive earmarks going forward. Earmarks have long sparked outrage among many conservatives and taxpayer watchdog groups. Perhaps most famously, Rep. Don Young (R-AK) attached a $398 million earmark to a spending bill to build a bridge that would be have been used by a total of about 50 residents in his district. The backlash was so severe that “Bridge to Nowhere” became a household phrase. Republicans met Wednesday to vote on the rules for the next session of Congress, which begins in January, and the amendment regarding earmarks was on track to pass until Speaker Ryan stepped in. Ryan went on to assure his colleagues that he will address the earmarking issue in the first quarter of next year, but that it will be done as part of a public debate. On Friday, the friends and family members of Cassidy Aspen Cochran, a 22-year-old Alabama resident who passed away over the weekend, will gather to celebrate her too-brief life. 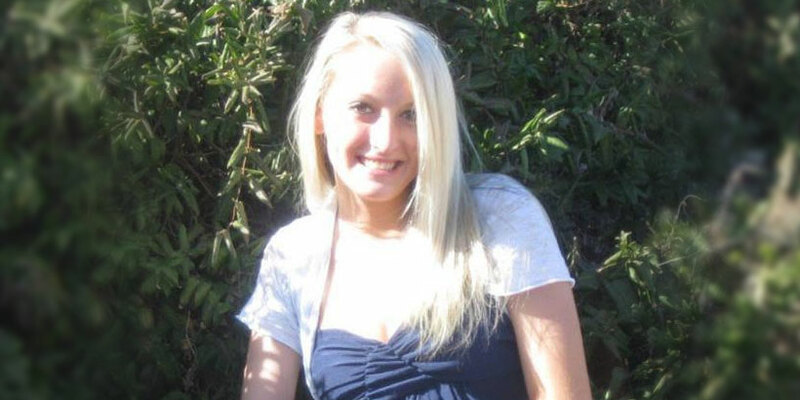 But in addition to those who knew her personally, people who have been impacted by the story behind her death will also come to pay their respects, and to continue raising awareness for an issue that rarely gets the attention it needs: heroin addiction. 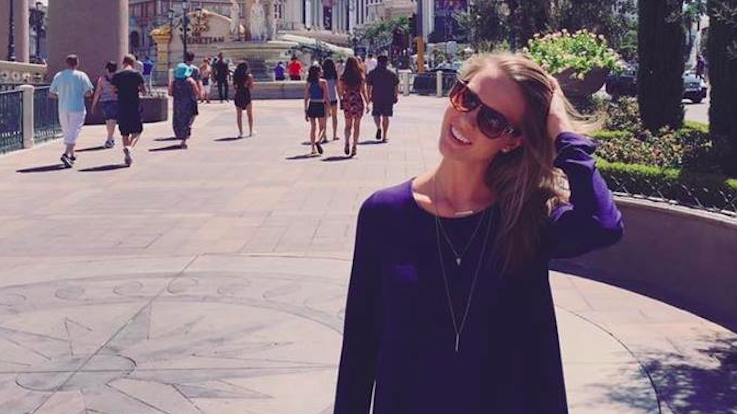 Cassidy’s family published her obituary earlier this week, and it has spread quickly online because of its heartfelt candor. Cassidy Aspen Cochran was born on June 22, 1994. She was a precocious child. As soon as she could talk, she was quoting lines from Shakespeare. She loved to perform for friends and family. She called herself the “Queen of Make Believe.” She was so smart, so funny. Even when times got tough, she could always make you laugh. She had a huge heart. She loved animals. All animals. Especially Harambe. She was so beautiful; stunning really. She recently had plans to marry her fiancé, Frank Calzone. She loved him and he loved her. She wanted to create a life with him. She seemed genuinely happy over this past year with him. Unfortunately, Cassidy also struggled with addiction. Her addiction finally won. She died of a heroin overdose in the early morning hours of November 11, 2016. We write this not to dishonor her memory but to shine some light on an illness that is taking the lives of far too many. If we allow shame, guilt or embarrassment to cause this illness to become a dark family secret, hiding in the shadows, everyone loses. Cassidy now joins the ever expanding list of daughters, sons, sisters, brothers, and grandchildren taken far too soon by this growing healthcare epidemic. But, please remember, Cassidy isn’t just a statistic, she was our sunshine, even when she kept us awake with worry. Everyone on that list was the light of someone’s life. Thus, it is important to remember that Cassidy wasn’t just her illness; she was our daughter and our friend. Words cannot describe how much she will be missed. Cassidy was preceded in death by her grandmother Frances Hale and her uncle Bradley “Bo” Cochran. She is survived by her fiancé, Frank Calzone, her father, Chris Cochran, her mother, Charla Hale Bocchicchio, her step-father, John Bocchicchio, her grandparents, Tom and Barbara Cochran, her grandfather, Robert Hale and far too many aunts, uncles, and cousins to list. Anyone who reads this is welcome to join us in celebrating her life on Friday, Nov. 18,2016 at 4:00 PM , (attire come as you are) at the Dance Foundation (f.k.a., Children’s Dance Foundation), 1715 27th Court South, Homewood, Alabama 35209. In lieu of flowers, please call or write your state representative and plead with them to make Naloxone available over the counter, without a prescription. Last year, the Alabama Attorney General’s office announced that the state’s overdose rate had tripled since 1999, outpacing most of the country. Earlier this year it was revealed that Alabama drug dealers are lacing heroin — already one of the most powerful and addictive opioids — with a drug designed to subdue 13,000-pound African bush elephants. The resulting synthetic mix has left a trail of dead bodies in its wake. There are moments in each of our lives that are pivot points — events or experiences that send us careening in unexpected directions, like pinballs bouncing off of a bumper. As Whitehead considered that question, he thought about the physical blessings we enjoy in the United States, and how meeting the physical needs of impoverished people in other parts of the world could open doors to meet their deeper, spiritual needs. At that time, 1.2 billion people on Earth lacked access to clean water. If a team from Alabama could help change that stunning fact one village at a time, Whitehead thought, they could also have unprecedented opportunities to share the Gospel with people to whom they would otherwise not have access. On December 8, 2008, in the tiny village of Witto, South Sudan, Neverthirst drilled its first well. That experience helped Whitehead understand how meeting people’s physical needs can break down barriers. To make those conversations more likely to happen, Neverthirst empowers local pastors to helm their drilling projects. Neverthirst and other water ministries have made tremendous strides in recent years. Since 2008, Neverthirst has completed over 5,500 projects, providing over 400,000 people with clean water. During that same time period, the total number of people without access to clean water has dropped from 1.2 billion to 663 million since 2008. But it all wouldn’t be possible without the support of Alabamians back home, and others around the country. Many gyms, for instance, have organized large workout events and used them as fundraisers to benefit Neverthirst. To connect it to the water ministry, the workouts included large containers full of water that could be carried or lifted while doing various exercises. Today, Neverthirst is doing work in India, Cambodia, Nepal, South Sudan, Sudan and Chad. The goal for 2016 is to complete over 2,000 projects throughout Africa and Asia that will bring water to over 72,000 people. And the more people here at home get involved, the more lives will be changed. HUNTSVILLE, Ala. — Alabama’s aerospace boom continued on Tuesday as Boeing announced it plans to bring 400 jobs to Huntsville and invest $70 million in the state over the next several years. While Boeing was not specific on the type of jobs that will be coming to the Rocket City, the growth is coming in the company’s defense business. 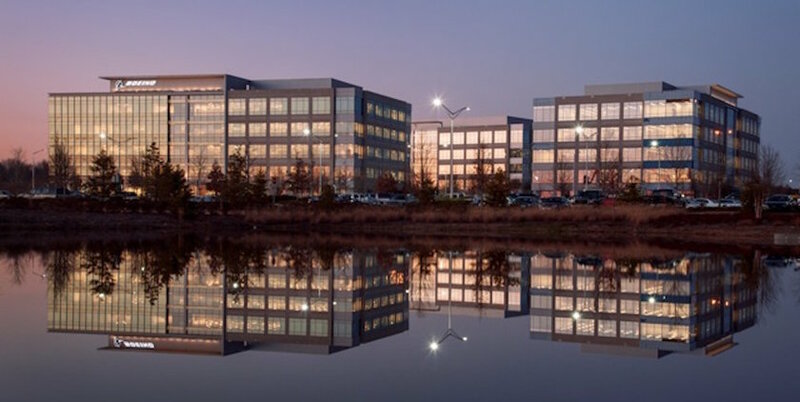 Huntsville has enjoyed success in attracting large manufacturers to the area in recent years, but Mayor Tommy Battle said the city’s “strategic pivot back to research and development” is one of the main reasons Boeing identified the city as an ideal location for its latest expansion. “Huntsville is a knowledge based economy and Boeing continues to invest here because our talent pool matches the needs of their workforce requirements,” he said. U.S. Sen. Richard Shelby (R-Ala.) also highlighted Alabama’s workforce. With a string of successes, Alabama’s aerospace industry is now growing at a rate that could position it to one day challenge agriculture, automotive manufacturing and tourism for the title of the state’s largest engine of economic activity. “Our second fastest growing industry sector in the state now is the aerospace sector,” Alabama Secretary of Commerce Greg Canfield said earlier this year. Aerospace executives have stated in the past that they chose Alabama because of its business-friendly environment and status as a right-to-work state. But Rep. Mike Rogers (R-AL3) has joined with Reps. John Culberson of Texas and Tom Rooney of Florida to sponsor an amendment to House rules that would revive earmarks going forward. 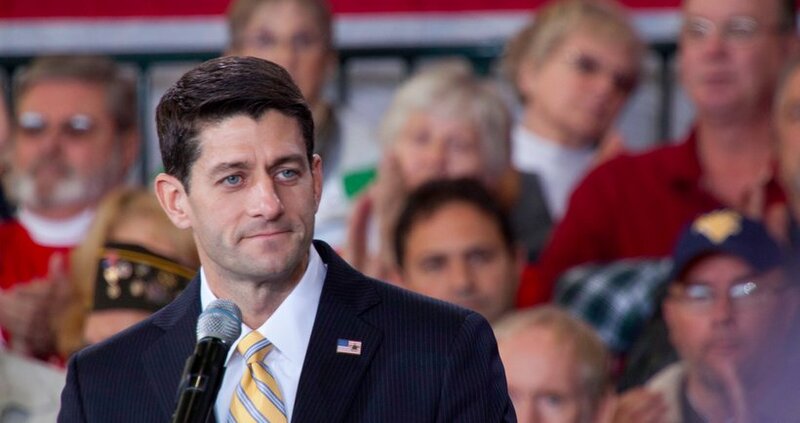 Republicans are set to meet Wednesday to vote on the rules for the next session of Congress, which begins in January. “If the (Rogers) amendment is adopted by a secret-ballot vote Wednesday, lawmakers would be able to request earmarks once again as long as the sponsoring member is identified, the earmarks initiate in committee, and they don’t increase spending,” said Bluey. But some people continue to believe that while earmarks have been abused in the past, they can be useful in helping to keep the gears of Congress turning. This is not the first time Rogers has sought to end the ban. Rogers explained the proposal by saying he believed the President had too much power over Congress’s spending priorities when they do not have the ability to attach earmarks to legislation. In spite of Rogers’ efforts in 2014, the Republican-controlled House continued its prohibition on earmarks. We will find out tomorrow whether or not that will continue for another two years. Rogers’ office did not respond to a request for comment on this story. Alabama Senator Trip Pittman is advocating for the state to bring back firing squads as a method of execution. 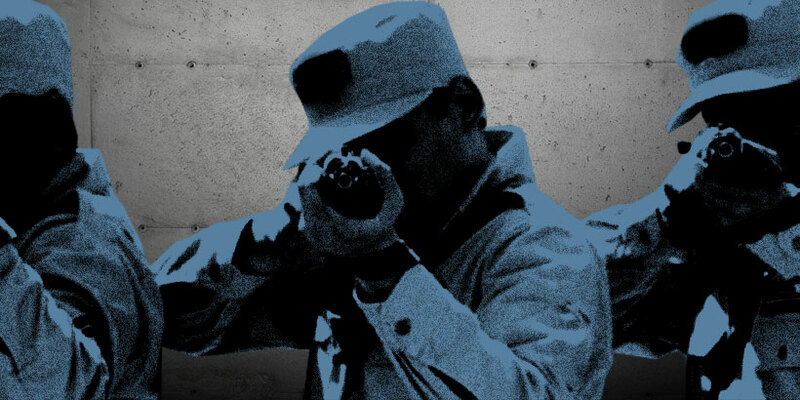 MONTROSE, Ala. — With Alabama’s protocol for executing death row inmates mired in controversy and legal challenges, one state senator is proposing bringing back the firing squad and adding the ability for condemned criminals to choose to be gassed to death with nitrogen. Firing squads have not been used as a method of execution in Alabama since at least the 1920s. State Senator Trip Pittman (R-Montrose) has introduced Senate Bill 12, which “would allow a capital defendant to elect to be executed by firing squad.” He says he plans to add the gassing option to the bill as well before it comes before the legislature early next year. For three-quarters of a century (1927-2002), executions in Alabama were carried out using an electric chair dubbed “Yellow Mama,” a nickname it was given after being covered in the same paint used to stripe Alabama’s highways. “Mama” has been in storage since 2002 when legislation was passed giving prisoners the ability to opt for lethal injection. Some lawmakers have pushed to take Yellow Mama out of storage, particularly after various legal challenges to the state’s lethal injection protocol caused a backlog of death row inmates, costing the state additional housing expenses. Thomas Arthur, a 74-year-old death row inmate who was convicted for a murder-for-hire in the 1980s, recently received a stay of execution after he spoke out against the lethal injection process, arguing that the three-drug cocktail does not sufficiently dull the pain prior to death. Mr. Arthur has argued that death by firing squad would be more humane. The legislature will reconvene for the 2017 Regular Legislative Session in February. Pollsters make a living being public opinion experts. But 2016 has been a tough year for the polling industry after the overwhelming majority of the “experts” were flat out wrong on two of the world’s most significant events — Brexit in the U.K. and the presidential election in the U.S. However, a polling firm with close ties to Alabama correctly called President-elect Donald J. Trump’s improbable victory, and their insight helped propel him to the White House. McLaughlin & Associates is a public opinion research firm based in New Jersey, but the brothers who lead the company — John and Jim McLaughlin — have been the most influential Republican pollsters in Alabama for years. Governor Bob Riley, Attorney General Bill Pryor (who is now on Trump’s short list for the Supreme Court,), Senate President Pro Ten Del Marsh, Attorney General Luther Strange, Lt. Governor Steve Windom, the Business Council of Alabama, and dozens of state house and senate members. Perhaps most notably, Jim McLaughlin was the pollster behind Republicans’ successful effort to take control of the Alabama legislature for the first time since Reconstruction. During this election cycle, both McLaughlin brothers were involved in different aspects of the Trump effort. John was the internal pollster for the campaign and Jim worked for a pro-Trump Super PAC. This gave their firm the opportunity to play an outsized role in the ultimate victory, but also presented some challenges. Because FEC rules ban coordination between campaigns and outside groups, the brothers were strictly prohibited from talking to each other about strategy. “We took the firewall very seriously. But I’m sure it drove our family crazy sometimes. When you’re involved in politics but can’t talk about the biggest election of the year, that can get awkward,” Jim laughed. John’s work for the campaign extended back to the primary, when most pundits assumed Trump did not have a real chance of winning. Even after winning the nomination, Trump was considered a long-shot candidate against Democratic nominee Hillary Clinton and the entire Washington, D.C., establishment. But John saw something in his polling that suggested Trump had a better chance than most people thought. Jim saw the same thing in his polling as well, and noticed that working class voters — many of whom either voted Democrat or didn’t vote at all in recent past election — were attracted to Trump’s message on trade and immigration. As a result, the vast majority of the super PAC’s closing budget was spent in Pennsylvania and Wisconsin, two states that Republicans had not won since 1988. As Mr. Trump would say, it worked BIG LEAGUE. By the last week of the campaign, Trump had won over roughly 90% of the voters who were looking for change, and winning traditionally blue states like Pennsylvania, Michigan and Wisconsin helped propel him to a runaway Electoral College win. It’s safe to say the establishment got the message loud and clear. “On one side of the debate stage we saw Hillary Clinton, a candidate who will continue to support the job-killing trade policies that have been an economic boon for foreign nations at the expense of American workers. “We saw a candidate who believes anyone on the planet has a right to demand entry into the United States and has every intention of drastically expanding the current administration’s radical, open-borders immigration policies. “We saw a candidate who has proven herself to be untrustworthy when handling classified national security information and whose stewardship of America’s foreign policy while secretary of state was a disaster. “And we saw a candidate who has been entrenched in the Washington, D.C., establishment for some 30 years while maintaining a deep disdain for regular, hardworking Americans, to whom she does not believe she should be accountable. “On the other side of the stage we saw Donald J. Trump, a candidate who will boldly advance trade and tax policies that will ensure that American workers come first once again. “We saw a candidate who will secure the border and return law and order to America’s immigration system. “We saw a candidate who as commander-in-chief will make America an indisputable ally to her friends and a feared adversary of her enemies, and re-establish America’s standing abroad. “And we saw a candidate who, against all odds, has taken on the political establishment and started a movement that has given voice to millions of Americans whose interests have been ignored for far too long. “According to Gallup, 72 percent of Americans are dissatisfied with the direction of their country. The debate drew a 46.2 television rating and a 63 share, an approximately 17% spike over the first debate of the 2012 General Election between Gov. Mitt Romney and President Barack Obama. For context, the most-watched television event of the year was Super Bowl 50, which garnered a 46.6 rating and a 72 share, amounting to about 111 million viewers. With that in mind, it appears that approximately 100 million people tuned in to watch Clinton and Trump square off. There will be two more presidential debates prior to Election Day. They will take place Tuesday, October 4 at Longwood University, in Farmville, VA, and Sunday, October 9 at Washington University in St. Louis, MO. 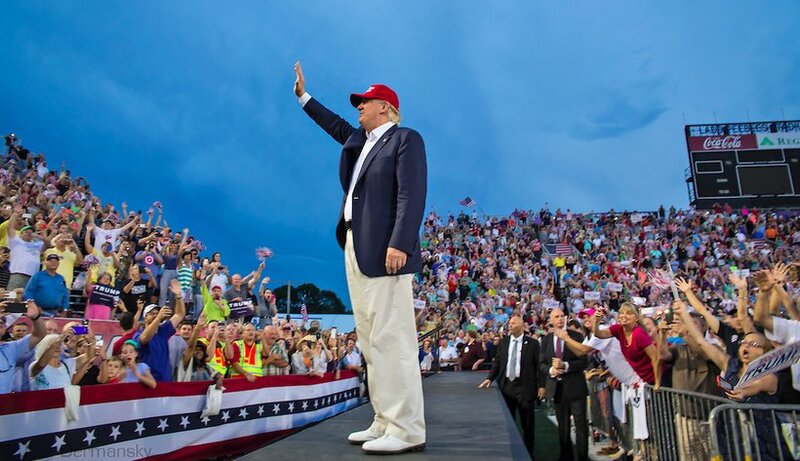 NEW YORK — Republican presidential nominee Donald J. Trump has released a list of the twenty-one individuals he will consider nominating to the United States Supreme Court should he be elected president. Among the names on the list is Judge William “Bill” Pryor, Jr., a native of Mobile. Pryor is an icon in conservative legal circles and has already enjoyed a distinguished legal career, including stints as Alabama’s deputy attorney general and attorney general (succeeding now-U.S. Sen. Jeff Sessions) before being nominated to the Eleventh Circuit Court of Appeals by President George W. Bush in 2003. President Bush went on to install Pryor as a federal judge through a recess appointment. He was eventually confirmed by a vote of 53-45. As a federal judge, Pryor has upheld voter ID laws (Common Cause/Georgia v. Billups) and argued against ObamaCare’s contraceptive mandate. Joining Judge prior on the list is Justice Don Willett of the Texas Supreme Court. Justice Willett will be the keynote speaker at the Alabama Policy Institute’s annual dinner in Birmingham Oct. 27th at the Birmingham-Jefferson Convention Complex. Consider this our weekly public service. For a printable PDF version, click-here. 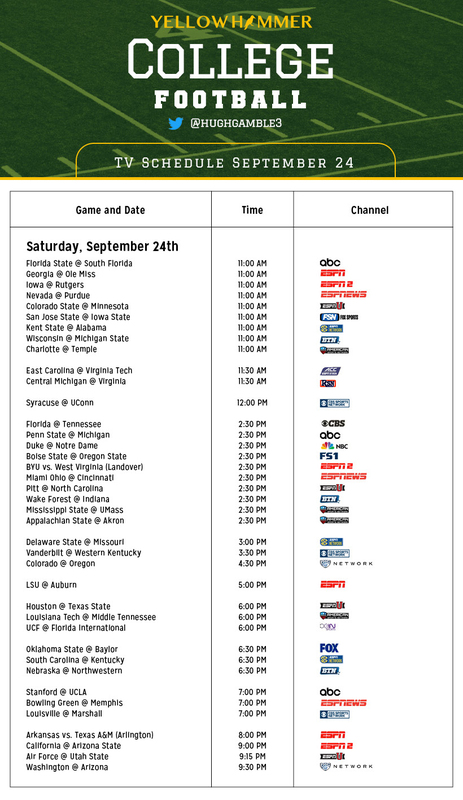 Pro tip: Save the image below to your phone for quick and easy access all day. MONTGOMERY, Ala. — Alabama Gov. Robert Bentley and Attorney General Luther Strange on Thursday sent a letter to Macon County law enforcement officials calling on them to shut down VictoryLand casino. VictoryLand officially re-opened ten days ago, bringing “electronic bingo” back to a state whose constitution explicitly prohibits lotteries and games of chance. VictoryLand was shuttered in 2013 after state law enforcement officials seized the machines and a quarter-million dollars in cash. But in November of last year, Gov. 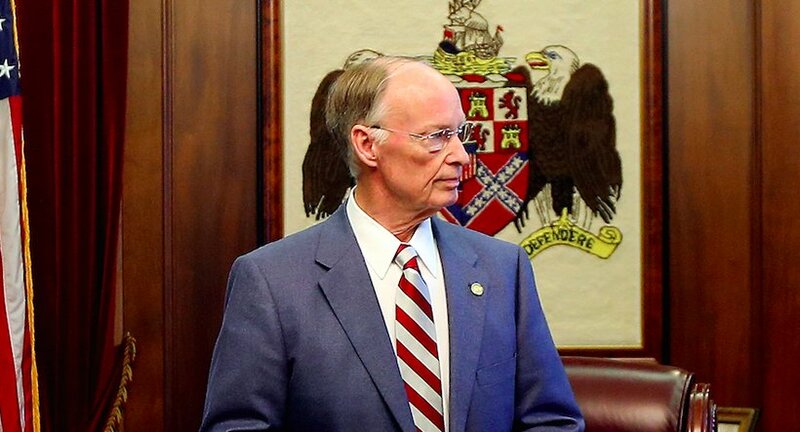 Robert Bentley issued an executive order stripping the state attorney general’s office of the authority to enforce gaming laws, paving the way for gambling to take place in local areas under the supervision of sheriffs and district attorneys. At VictoryLand’s recent reopening, casino boss Milton McGregor alluded to Gov. Bentley’s order while expressing confidence in the legality of what they are doing. The governor and attorney general have given local authorities until September 30 to respond to their letter with a plan to enforce the law. CHARLOTTE, NC — In the wake of the fatal police shooting of 43-year-old Keith Lamont Scott and subsequent protests, members of the media asked former Auburn University quarterback and current Carolina Panthers star Cam Newton for his thoughts on what is happening in his adopted home town. Newton said that he had seen conflicting reports, with some outlets saying Mr. Scott was just reading a book when he was shot, while others say it was a gun. It has become increasingly rare in the current political environment for a major figure to take such a measured approach to such a divisive issue, but Newton said he views football as his platform to unite people. “So I’m in a position now where, if I say something, it’s going to be critiqued, and if I don’t say something, ‘Oh, you fake or you flawed,’” he said. 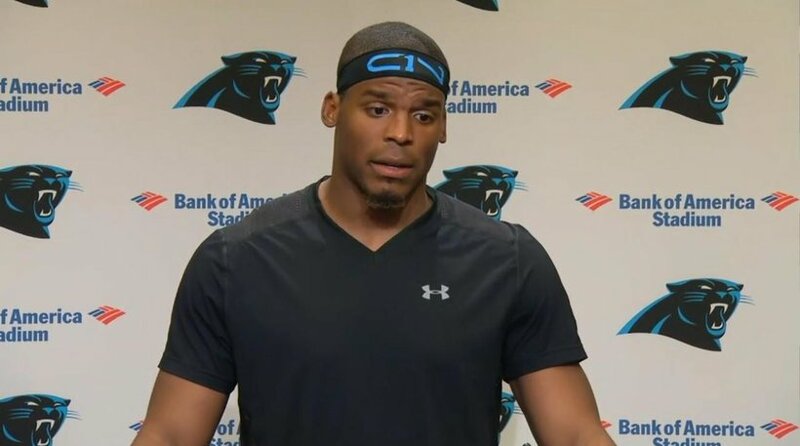 Newton was asked to specifically weigh in on the unrest that has swept across Charlotte this week, resulting in over a dozen police officers being injured. Newton rejected the violent outbursts, then went a step further and gave his perspective on the stated reasons for the protests. “I know from being a black person, it’s a lot of black people that don’t do right by black people. So you can’t be a hypocrite and just say, ‘Oh, well, a white man or a white police officer killed a black man,’” Newton said. 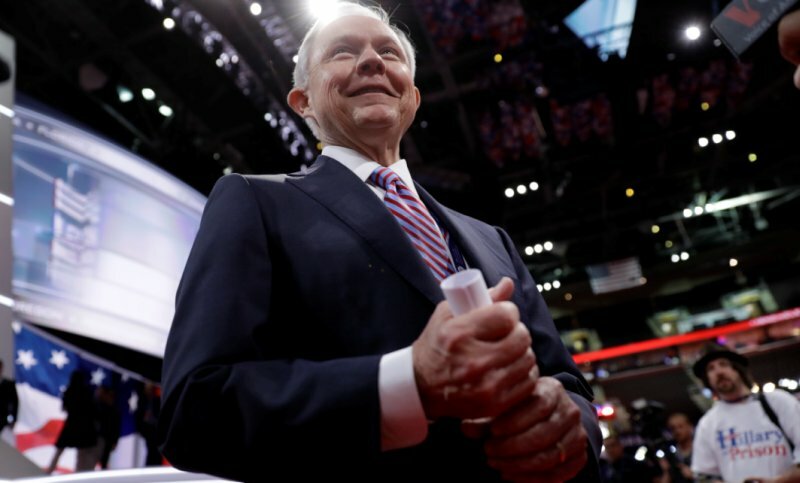 WASHINGTON — Responding to the Bush family’s unwillingness to openly support Republican presidential nominee Donald J. Trump, Sen. Jeff Sessions (R-Ala.) told the Washington Examiner he believes the Bushes should remember that conservatives rallied behind them, even though they were usually not their first choice. George P. Bush, Jeb Bush’s son and the current Texas Land Commissioner, is the only member of the Bush family who has publicly endorsed Mr. Trump, and Politico recently published the unconfirmed assertion by a member of the Kennedy family that George H. W. Bush is planning to vote for Democratic nominee Hillary Clinton. Responding to the report, Sen. Sessions recalled that “millions of Americans, including this one, worked their hearts out for the Bushes in 1988, 1992, 2000, and 2004. 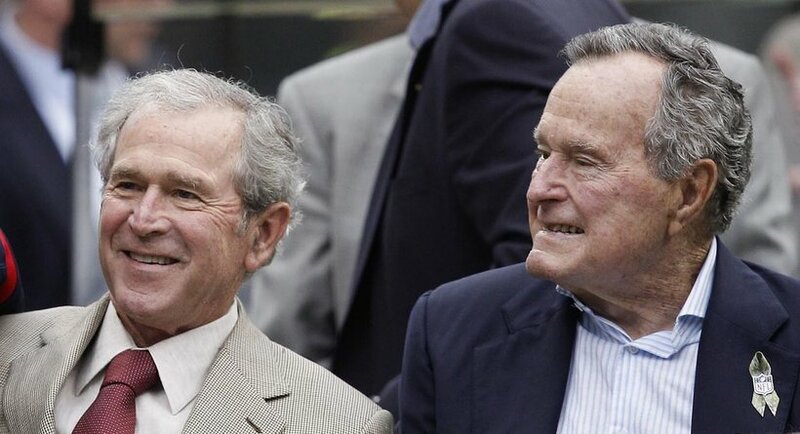 And it wasn’t Bill Clinton that helped the Bushes get elected. It was the same voters, in large part, that elected Ronald Reagan and stand to elect Donald Trump. A spokesperson for George W. Bush said the former president does not plan on commenting on the race. When asked for her take on the elder Bush’s supposed comment about voting for Clinton, Trump campaign manager Kellyanne Conway said she “respect(s) the 92-year-old former president very much,” but added that it would be odd for him to vote for “the wife of the man who knocked him out of the race” in 1992. The Alabama Crimson Tide survived a tough matchup against the Ole Miss Rebels this past weekend, coming out on top 48-43 and narrowly dodging a third straight loss to their SEC foe. But before the game even started, An Alabama couple made a mistake that almost caused them to miss most of the action. In fact, if the daughter of a well-known Mississippi politician had not come to their rescue with a random act of kindness, they probably would not have been able to see the game at all. “I would like to share a heartwarming story that happened to us this weekend. Saturday, we put on our Alabama gear, loaded up on a chartered bus, and headed to Oxford with other Bama and Ole Miss fans for the big game. After an hour or so of visiting friends in the Grove, K*** and I realized that we had left our game tickets on the bus, which was now parked at WalMart. “We were able to get in touch with an Uber driver but could not figure out how to reach him as campus police pretty much blocked the whole campus from outside traffic. We were standing in the rain and trying to figure out what to do when a sweet Ole Miss student noticed us in disarray. She said that she was about to go babysit and offered to give us a ride to WalMart and back again to campus. “I was almost in tears at the gesture of this nice young lady! She ran to her car (in the rain) to come back and get us while we stood under the awning of her dorm. As she was turning back in to pick us up, I noticed that she had a National Guard tag on her car. I asked her if her parents were in the NG, and she said that her dad was in the ANG and his name was Stacey Pickering. “She asked if I knew him, which of course, I do. Not only is he a chaplain in the ANG, he’s also our State Auditor. Acts of kindness like this just go to show that some young men and women are being raised right, and despite the fact that we were wearing the opposing team’s colors, she was still willing to help us. WASHINGTON — Congressman Bradley Byrne (R-AL1) on Thursday announced that a future Littoral Combat Ship (LCS) will be named after the City of Mobile. Roughly 4,000 Alabamians in Austal USA’s Mobile facility are involved in building the LCS, a class of vessels used in operations close to shore (the littoral zone). They have been compared to corvettes, built to swiftly move in fights with other vessels, as well as to hunt and destroy enemy submarines and mines. “The LCS is the perfect vessel to fulfill multiple missions including surface warfare, mine counter-measure warfare, and anti-submarine warfare,” explained Rep. Byrne. The congressman expressed appreciation for Secretary of the Navy Ray Mabus, who has testified that the his branch of the armed services requires 52 littoral combat ships, a number determined by an assessment performed in 2014. “I appreciate Secretary of the Navy Ray Mabus for working with us to make this possible, and I look forward to one day standing in the Mobile waterfront to christen and commission this fine ship,” he said. The announcement of the USS Mobile came from the Secretary of the Navy today during a ceremony in Washington, D.C. Another LCS will be named after the City of Marinette, Wisconsin, where the Freedom-variant of the LCS is built. The LCS program has been the subject of intense debate inside the Pentagon, where its detractors include the Obama administration’s Secretary of Defense Ash Carter. 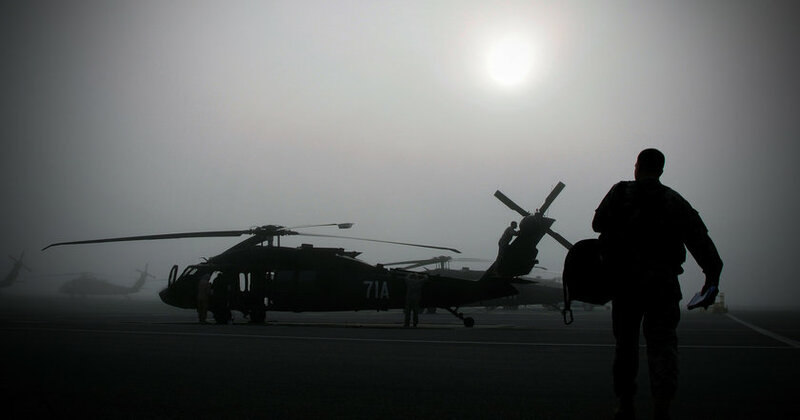 The internal sparring has spilled over into the public in an unusual way and resulted in what defense budget expert Mackenzie Eaglen describes as “a semi-open war” between Secretary of Defense Carter and Secretary of the Navy Mabus. Mabus and other Navy leaders used an annual military symposium [in January] to offer a forceful defense of the littoral combat ship, the same warship that Carter wants to pare back to allow more spending on destroyers, munitions, submarine upgrades, and the F-35 and F-18 fighter jets. Alabama’s U.S. senators have frequently defended the ship-building program from attempts by Senate Armed Services Committee Chairman John McCain to scale it back. Senator McCain has decried the LCS program as “shameful” on the Senate floor and has constantly fought for the Pentagon to cut it, in spite of Navy leadership insisting they need it. 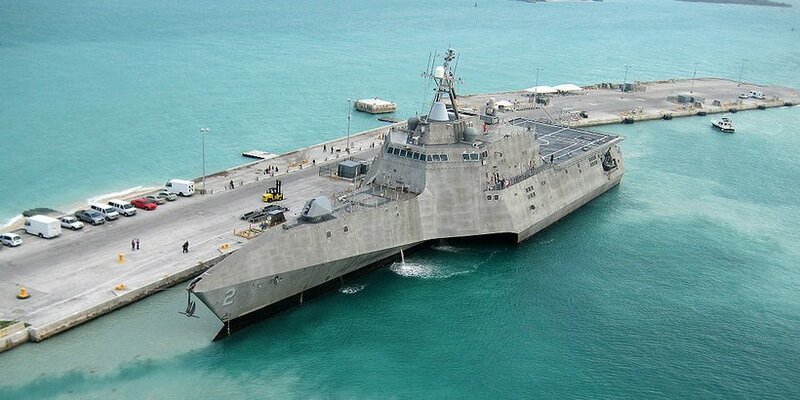 McCain was pleased late last year when the Obama administration’s efforts to shrink the military hit the LCS program. Secretary Carter directed the Navy to slash its previous order of ships by twelve and reduce its annual orders by tho-thirds. The Navy’s stated goal for years has been to build up its capacity to 308 ships. There are currently 273 ships in the fleet, and Navy advocates on Capitol Hill and in the Pentagon argue that cutting the LCS procurement will make the Navy’s capacity goal impossible to achieve. Alabama senators have repeatedly fought off McCain’s attempts to cut the LCS before, and they’re vowing to continue going forward. Those fights will take place on another day, however, Thursday was all about the future USS Mobile. WASHINGTON — A group of United States congressmen has tossed aside partisan politics and announced the formation of the first ever Congressional Football Caucus. Fittingly, the group will be led by a representative from the state that has taken home five of the last seven college football national championships. 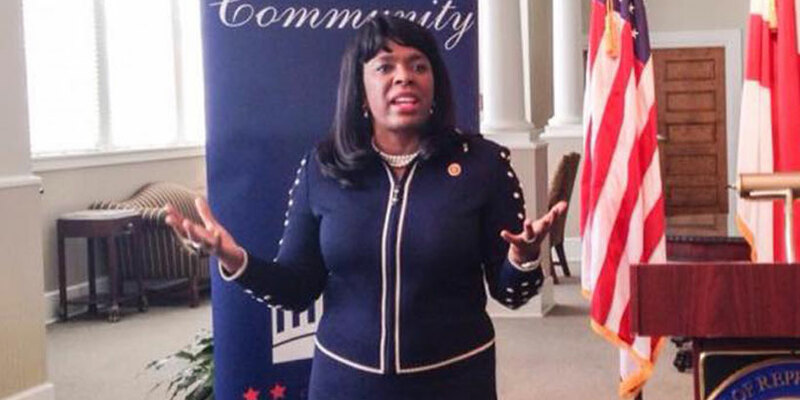 U.S. Rep. Terri Sewell, a Democrat from Alabama’s 7th Congressional District, will co-chair the caucus alongside Rep. Roger Williams, a Republican from Texas whose home state has a rich college football history as well. “At the Division 1A level, 237 universities have football teams. There are 85 scholarships available per team to be divided among the players. A total of 20,145 scholarships are offered in Division 1A football. “At the Division 1AA level, 120 universities have football teams. There are 63 scholarships available per team to be divided among the players. A total of 7,560 scholarships are offered in Division 1AA football. The football crazed state of Alabama is home to nine Division 1 football programs (counting UAB’s resurgent program) and eight Division II programs. The Congressional Football Caucus held its first event in Washington, D.C., last week featuring appearances by Southeastern Conference Commissioner Greg Sankey, Big 12 Commissioner Bob Bowlsby and Hall of Fame Coach Barry Switzer. 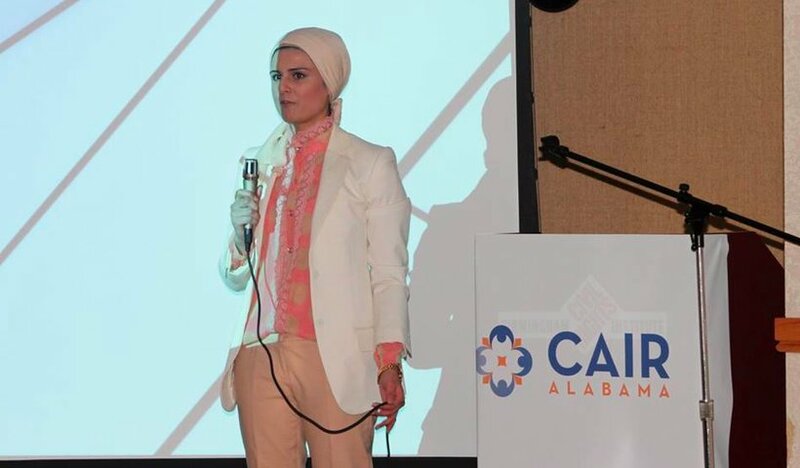 BIRMINGHAM, Ala. — The director of the Alabama chapter of the Council on American-Islamic Relations’ (CAIR) says local Muslim women are facing increased persecution. “We hear other people talking about us and we thought it was high time we did the talking,“ she added. Hadeed’s comments at this week’s event are not the first time she has claimed Muslims in Alabama are the targets of Islamophobia. Brooks’ comments came in the wake of the Orlando terrorist attack in which dozens of gay nightclub goers were slaughtered by a man who pledged allegiance to the so called Islamic State. Brooks said Democrats have found themselves being pulled in different directions now that Muslims are gaining numbers and political power in the United States. By pursuing their votes, Brooks said, Democrats are risking alienating the LGBT vote, another core constituency. Hadeed responded by slamming Brooks for promoting Islamophobia. “Congressman Brooks’ would seek to create division between the LGBTQIA (Lesbian, Gay, Bisexual, Transgender, Queer, Intersex and Asexual) and Muslim community standing shoulder-to-shoulder as we confront together hate crimes, bigotry, marginalization and discrimination” she said. “American Muslims are committed to upholding equal rights and protections for all as the law of the land as enshrined in the U.S. Constitution,” Hadeed added. Critics of CAIR have frequently claimed the group has ties to the Palestinian terrorist organization Hamas. An FBI chart obtained by a Freedom of Information Act request late last year appears to show the U.S. government believes CAIR could be part of a labyrinth of organizations that were created to support Hamas in the West. CAIR was also listed as an unindicted co-conspirator in the Holy Land Foundation trial, which has been called “the largest terror-financing case in American history.” CAIR denies they have terrorist ties. TUSCALOOSA, Ala. — A study by 24/7 Wall Street revealed this week that University of Alabama football coach Nick Saban is the highest paid public employee in the United States. Saban makes $7.09 million per year, just edging out University of Michigan football coach Jim Harbaugh. But while Saban’s eye-popping salary will once again garner headlines all over the country this week, here’s something that probably won’t get mentioned very much: He’s an absolute steal at $7.09 million per year. 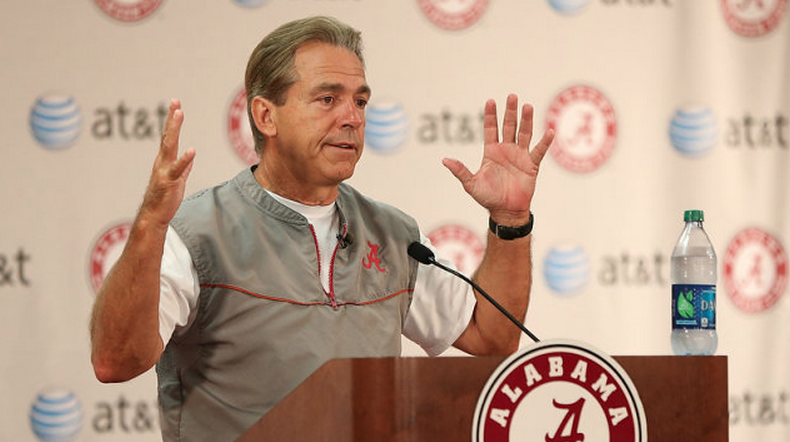 In 2013, Saban allowed CBS’s 60 Minutes to go behind the scenes inside his program. As part of their research, CBS spoke to University of Alabama System Chancellor Dr. Robert Witt, who was the one who approved Saban’s giant contract. “Nick Saban is the best financial investment this university’s ever made,” Witt said confidently. When 60 Minutes ran the numbers, they found plenty of data to back up that claim. At that point, Saban had already overseen a 112 percent increase in revenue for the school’s athletic department, roughly $4 million of which is returned to the university in the form of academic scholarships annually. Flash forward to this year and the impact the football program’s ubiquitous national presence and unrivaled reputation for excellence is having on enrollment and academics is undeniable. According to a recent analysis performed by education experts at The Washington Post, the University of Alabama is the nation’s fastest growing flagship school, with a gargantuan growth rate of 92 percent. Now, more than half of UA’s students are from out of state, a big change from most of the institution’s history. In all, UA enrolled 37,665 students this fall, up from 37,100 in fall 2015. And the school is not only attracting more students, it’s attracting better students. This year’s freshman class is the most academically talented in the school’s 185-year history. More than 40 percent of UA’s 7,559-member freshman class scored 30 or higher on the ACT, up from last year’s record 36 percent. More than 31 percent of the freshman class had a high school Grade Point Average of 4.0 or higher, up from 29.5 percent last year. The class’s average ACT score is 27.1, the highest ever for UA, and up from last year’s 26.6 average. The credit for the University of Alabama’s growth as an academic institution should be shared by a wide variety of individuals and groups, including the administration, faculty, staff and students. But make no mistake, Nick Saban deserves as much credit as anyone — yes, even more than $7 million a year’s worth. MONTGOMERY, Ala. — Alabama is the first state in the country to implement fully electronic voting for service members stationed overseas, a system that will be used for the first time in a Presidential election this year after being previously rolled out in limited use in late 2015. Alabama National Guard Maj. Chris Theilacker told WSFA he and other Alabamians deployed around the globe are excited about the more streamlined process to vote. Alabama Rep. Barry Moore (R-Enterprise), a military veteran who was instrumental in passing a bill setting up the new system, told Yellowhammer he hopes it will make life easier for Alabamians who are deployed serving their country. Secretary of State John Merrill concurred. So who will they be voting for? A recent NBC/Survey Monkey poll shows Republican Donald J. Trump leading Democrat Hillary Clinton by double-digits among active military and veterans. Fifty-five percent say they favor Trump, while 36 percent back Clinton. The election is set to take place Tuesday, November 8, 2016. Former University of Alabama football coach Gene Stallings on the Rick and Bubba Show. Eighty-one-year-old former University of Alabama football coach Gene Stallings stopped by the Birmingham, Alabama-based, nationally syndicated Rick and Bubba Show this week, opening up an opportunity for the hosts to ask him whether certain “legendary stories” about his time in Tuscaloosa are actually true. Stallings did not disappoint. After winning the 1992 National Championship, Coach Stallings and the Crimson Tide went to Washington, D.C., to meet the President of the United States, as is the annual tradition. Bill Clinton was occupying the White House, but when the time came for the team to meet the president, he was nowhere to be found. On another occasion, then-Chairman of the Joint Chiefs of Staff Colin Powell visited Tuscaloosa and wanted to meet the Alabama football team with the press in tow. Check out the video above for more legendary Gene Stallings stories. GENEVA, Ala. — Four Alabama juveniles have been arrested after what appears to be an online clown prank gone too far. The Geneva Police Department says they have arrested three Geneva Middle School students and one Geneva High School student after parents called the police alerting them to cryptic threats being made by clown profiles on social media. The kids behind the accounts confessed after being confronted by police, but told authorities they were just joking. The police have charged the juveniles with Making Terrorist Threats, an eventuality law enforcement officials have been warning about since the bizarre clown craze sparked copycats around the country. Earlier this week, Shades Valley High School in Irondale and Holy Family Cristo Rey High School in Ensley both received phone calls warning them that clowns might show up at or near the schools. Holy Family Cristo Rey’s call said that a clown would be coming by and attempting to lure children into the woods. Police searches turned up nothing, but the schools took precautions nonetheless. Later, a clown jumped out from behind some bushes in Brighton and chased two Alabama teens before getting into a white van and speeding off. Similar incidents have occurred in South Alabama. The Escambia County Sheriff’s Department last week arrested three individuals in connection to Facebook postings by a page called “Flomo Klown” that included cryptic threats. 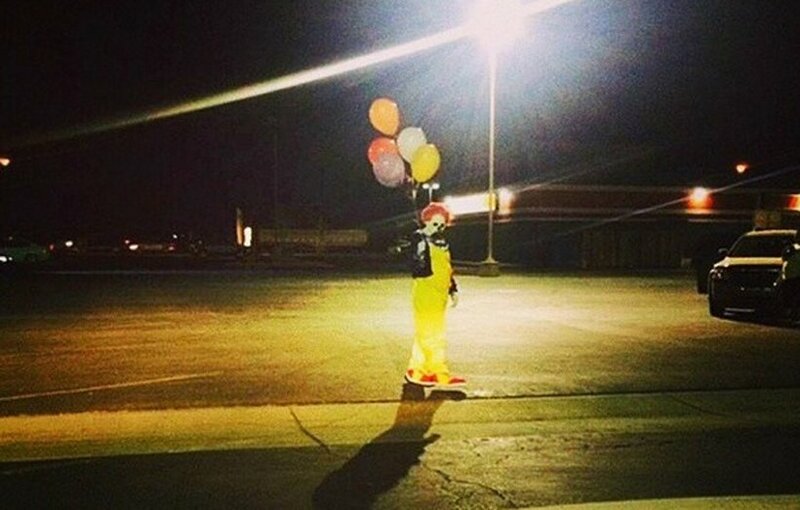 Previous reports of creepy clowns in Georgia, North Carolina and South Carolina also caused a stir nationally, particularly because some of the reports described the clowns as attempting to lure children into the woods with candy. The Calhoun County Sheriff’s Office also warned would-be pranksters that such posts could result in their arrest. The Geneva Police Department appears to have made good on the Calhoun County Sheriff’s promise.